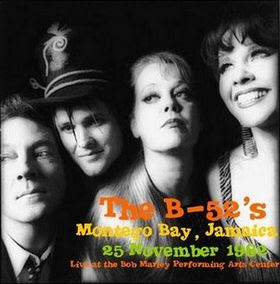 You may have noticed that Beehive Candy owes something to the B-52's with our picture of Kate Pierson complete with 'Beehive' hairstyle residing alongside our 'music sharing policy'. Therefore it's about time we gave them some coverage musically and this is a solid performance from the band back in 1982. The band were taking part in the Jamaica world music festival and this concert was performed at The Bob Marley Performing Arts Centre in Montego Bay on the 25th November 1982. The recording starts with the first song fading in and I am not sure if this was the first song of the performance, however it is likely as they were one of many acts on that night, and the running time seems about right. Genre: New Wave, post-punk, pop, surf-pop, dance rock. 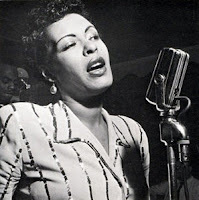 This is Billie Holiday live at the Storyville Club, Boston, Massachusetts, USA. The shows were recorded during a residency at the club in 1951 and broadcast the same year. Despite some research I am still uncertain if the dates cited (29th October to 1st November) refer to the actual show dates or radio broadcast dates. This is sourced from the more complete original radio tapes. Some of the tracks were digitally remastered and officially released on CD (see Amazon link below). Songs are repeated as the radio broadcasts most certainly covered different sessions and nights. Source: Radio Tapes (Pre Broadcast). Sound Quality: Good mono mp3@160kbps. Genre: Jazz Vocal, Jazz, Blues. Set: Selected for Radio from residency at Storyville Club. 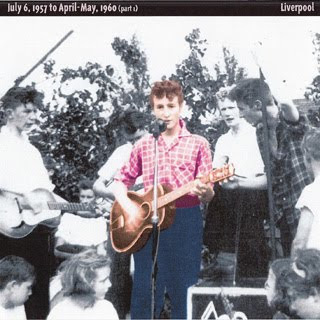 The Quarrymen - 1957 to 1960 (Part One). This is another selection of material from The Quarrymen dating back to 1957. Some of this material is a duplication on the first Quarryman bootleg featured on Beehive Candy, however this is from an alternative CD source and the sound quality is much cleaner. With the amount of interest generated by John Lennon's first band (joined by Paul McCartney & George Harrison along the way) it is not surprising that many versions of the same material have surfaced down the years. The obvious historical nature of the recordings continues to fascinate fans over four decades on. This is the first of three features and inevitably the sound quality is average (but quite listenable) and their will be some more duplication of material. Art work from the CD boots is included in the download files. Source: Live, studio and home (reel tapes). Sound Quality:Very Listenable mono mp3@variable bit rates. Genre: Skiffle, Rock & Roll. Set: Various home & live recordings.